This 14kt yellow gold ring is custom made by Jorge Adeler. 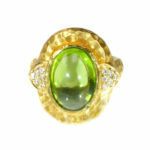 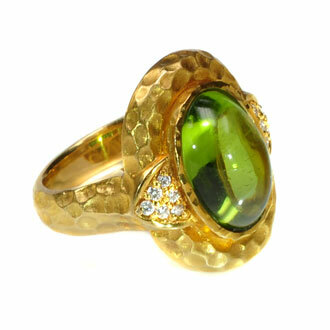 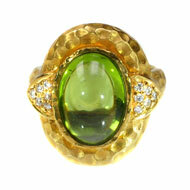 The Peridot is an oval cabochon (7.41 ct) surrounded by gold with a fascinating hammered finish. 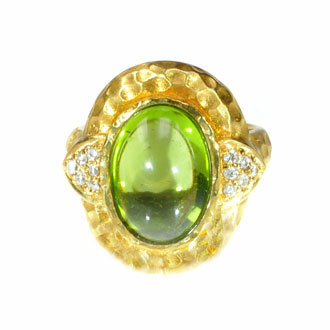 There are twelve round brilliant Diamonds enhancing the appeal (.14ct total weight). 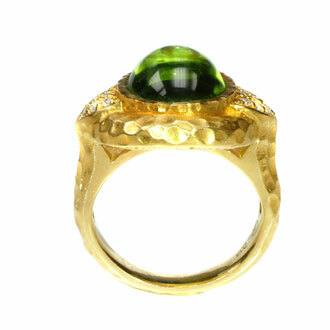 This spectacular ring would be fun to wear everyday.